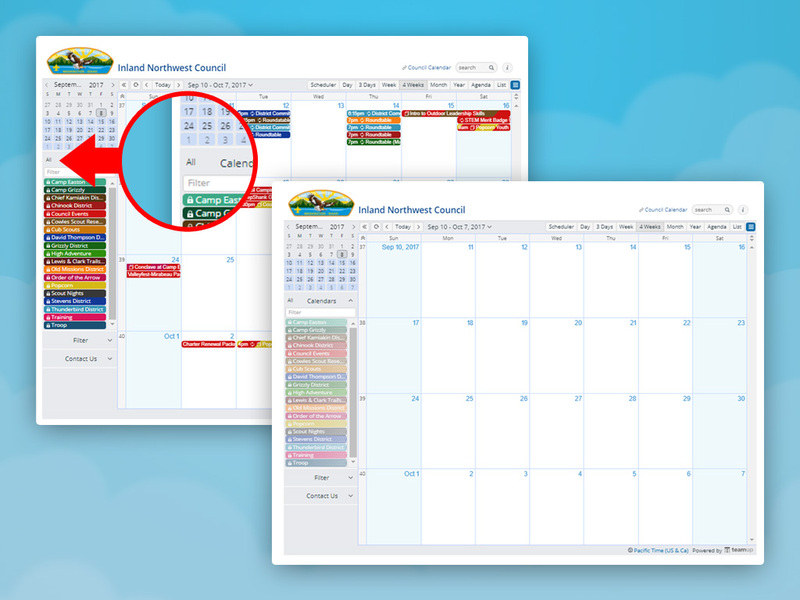 With one click, you can turn all events off of view for a completely clean calendar. Another click, and they’re back on. Quick Tip: Click the “All” button to toggle all events on or off. Above the list of calendars in the sidebar, you’ll see a small All; that’s a clickable button. It controls all events on all sub-calendars. Click All to view all events or none. If you have some events or calendars in view, when you click All it will show All events from all sub-calendars. Click All again to toggle all events off, and see a clean calendar. Ever wish to have blank calendars at hand while brainstorming and planning at meetings? Hide all events on your Teamup and print any calendar grid as you need.